Mmmmm...feel that washing over you? 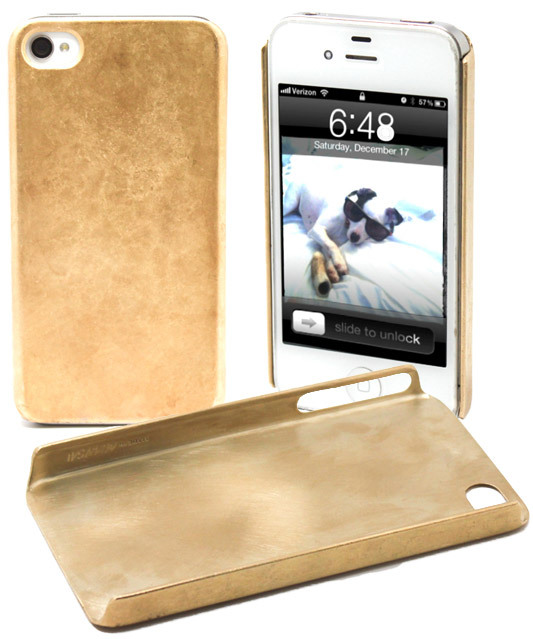 That's the good feeling you could only get from knowing your iPhone case was made out of solid (14-karat) gold. That is, if you have the US$10,000 to buy one from Miansai. The company has apparently been selling such a case since the iPhone 4S was introduced about two years ago, but I saw it from a MarketWatch piece. The pictures below show the original case, but I bet if you kicked in a few grand more they'd make one for your iPhone 5 or 5s. This is yellow gold with a matte finish, but the company offers a shiny finish, and then rose gold in either matte or shiny finish. If that doesn't grab you, Miansai plans to introduce a solid silver case in the next six months. With silver priced at about 1.7 percent the price of gold, my guess is that it'll be about $300.